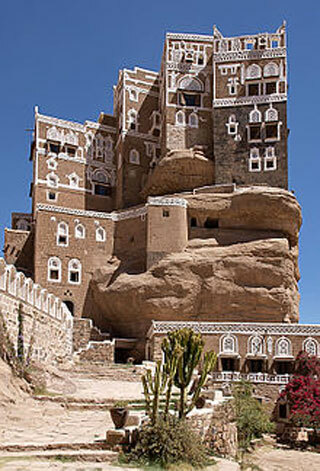 The Dar al-Hajar ("Stone House") is a royal palace, which was the residence of Imam Yahya Muhammad Hamid ed-Din, ruler of Yemen. The building on top of a rock was built as a summer retreat. This article uses material from the Wikipedia article "Dar al-Hajar", which is released under the Creative Commons Attribution-Share-Alike 3.0 License.